This is Simon Belmont, the first ever playable protagonist in a Castlevania game and main protagonist of the second Castlevania in which he has to find the body parts of Dracula to remove a deadly curse, laid on him by the Vampire Lord short before he was destroyed in the first game. This is the second artwork by GreenStranger who is a big Castlevania fan just like myself. 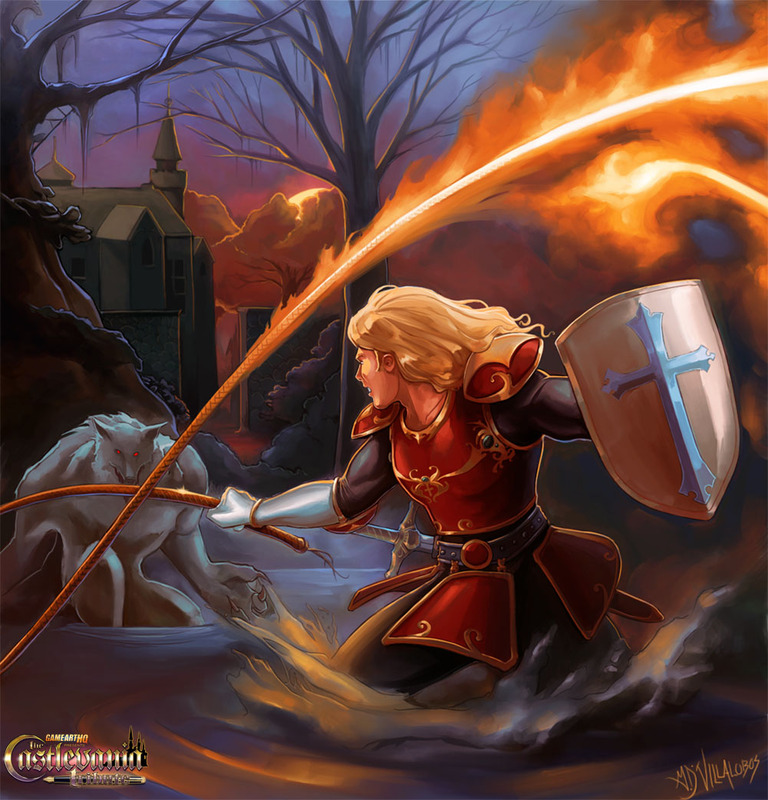 It was not drawn for our Castlevania Tribute but he submitted it on dA just at the time when this project was almost complete, and so i asked him about joining with his art since i was impressed and hope he joins one of our future projects maybe too! “Castlevania II Simon’s Quest brings back many childhood memories. I remember first playing it in 1988 as a kindergartner. I didn’t need Mario Bros. or any of the other more commercial Nintendo games. For me this game was one of the better reasons to own a Nintendo. Almost every other Friday I would go with my dad to Smith’s Grocery to rent this classic, or Double Dragon II. Good times, good times. This illustration depicts the last moments of daylight before the dreaded nightfall or more appropriately “what a horrible night to have a curse”.